The hope is always that insurance will never be needed. However, if the worst comes to the worst, the insurance policy will cover the loss or damage suffered…. Or will it? With any insurance policy there will inevitably be a list of requirements and exclusions which apply before the insurance company will pay out on a claim. Policies should always be read in detail – a summary of the policy may not give all the information needed. 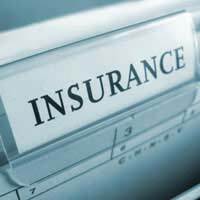 In addition, the insurance company is entitled to expect the policy holder to take care to avoid the event that policy covers. A 5 lever mortise deadlock, automatic rim deadlock or integral multi-point locking system on the front door. All other external doors should have the same level of security or be fitted with key operated bolts. Garages and outbuildings should be capable of being locked with a key. Downstairs and/or accessible windows should be lockable with a key. The property should not be unoccupied for longer than a period specified in the policy – this could be as little as 30 days. Any theft or (criminal) damage must immediately be reported to the police. Insurance policies usually also contain a list of exclusions: types of loss and damage that are not covered. These may include theft by someone the householder has let into the property or theft when the property is left unoccupied for an extended period. The premium may be reduced if additional security features, such as burglar alarms, are fitted. Depending on the type of policy, car insurance may provide cover for theft of or from the vehicle and malicious damage. Most car policies will not, however, be valid unless the vehicle is locked, and the keys removed, whenever it is unattended. The policy is also likely to be invalid if the vehicle is being driven by someone who is not a named driver on the insurance policy. There may be a limit on the amount that the insurance company will pay out in respect of personal items left in the car. Any theft or vandalism should be reported to the police immediately if a claim is to be successful. Electronic audio, communication or navigation equipment which is not permanently fitted to the car is unlikely to be covered by the policy. Travel insurance may cover loss or theft of personal belongings. Items will probably only be covered if left in a secure place when not with the policy holder. Some unattended belongings may have to be left in a safe. Individual high value items may not be insured if packed in checked luggage when flying. Some travel insurance policies do not cover personal items left in an unattended vehicle. Many people now have separate insurance for mobile phones. The policy offered by the company selling the phone may not be the best, or cheapest, available. The same applies to other items such as laptop computers and cameras. These items may not be covered by the policy if left unattended. Many household contents policies provide some cover for personal belongings used by the owner outside the home. Special conditions may apply to some very high value items. For example, a diamond ring may not be covered unless it is locked in a fixed safe or bank vault when not being worn. When agreeing to provide cover, insurance companies usually rely solely on information provided by the applicant. Often this information will be provided verbally and it may not be backed up by any documentary evidence. The information provided determines the terms of the policy and the premium payable. A person applying for insurance has a legal duty to give accurate information in “the utmost good faith”. If the information provided is misleading, incomplete or wrong, the policy on which it is based will almost certainly be invalid. Changes of circumstances which may affect the validity of a policy include a member of the household working from home, a member of the household being convicted of an offence or a lodger moving in. To maximise the chances that a policy will pay out, policy holders must ensure that they give the correct information to the insurance company and that they inform the insurance company if there is a change in circumstances. Is Your Potential Flat Mate Safe? Questionnaire: How Safe is Your Home? Questionnaire: How Safe is Your Journey Home?